Relaxing riverfront views at this quaint home. Newly built riverfront home in Rinehimer Development at the south end of Lake Wallenpaupack is cozy and comfortable rustic goodness just waiting for you. Main level has large bedroom with king bed, main bathroom, custom kitchen, dining and living room. You can grill out on the screen porch, sit and read in the rocking chairs on the front porch or walk down to the river and relax, this home has something for everyone. Second level has 1 bedroom with bunk plus single to sleep 3 and Full size bed in larger part of loft with private balcony to enjoy your morning coffee. Both bedrooms share 1 large bathroom with stand up shower. You can spend your days down on the river, boat out to the "Big Lake" or fish all day without all the traffic and noise of the big lake. 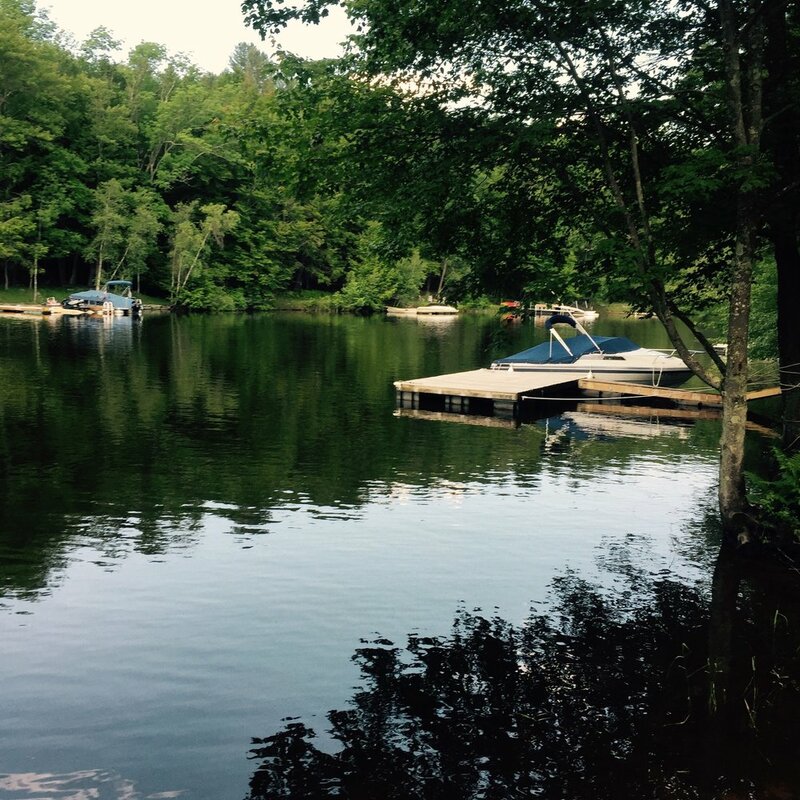 Dock can accommodate 1 boat or jet ski.